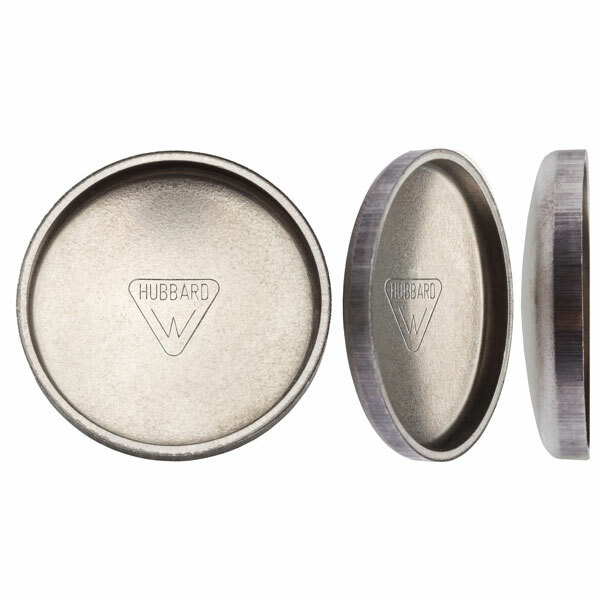 Hubbard Spring’s “Spring-Lock” series of core plugs have been engineered with a tapered edge that once installed creates a positive seal and prevents leakage. We have indexed these plugs by the hole size they are intended to seal – once the hole size is chosen the plug that has been engineered to seal that hole is the search result. Press / interference fit with the cast / machined hole. Taper needed for maximum “Spring-Lock” effect. Surface finish requirements of bore engaging “H2” surface. Clear guidelines for measurement and qualification of all variables that relate to seal. With the OEM push to lighten passenger vehicles, there are many more applications that are now using cup plugs than ever before. Overhead cam shafts, drive shafts, and pistons are just a few of the newer applications we have been involved with that are consciously being left hollow for weight reduction. Stainless steel plugs are often used for aluminum blocks / castings, and steel plugs are typically used for steel blocks / castings. Stainless scores and galls less during insertion. Stainless has more “spring back”, improving the “spring-lock” effect. As a result of these advantages, our stainless steel plugs have been engineered with more press / interference fit than our carbon steel plugs. This results in a better seal, better resistance to blowout under pressure, and better long term performance with thermal expansion than carbon steel plugs. Brass and Aluminum plugs can be produced – these are generally for marine applications. Steel: provided either plain finish or zinc electroplated. A wide range of other finishes are available upon request. 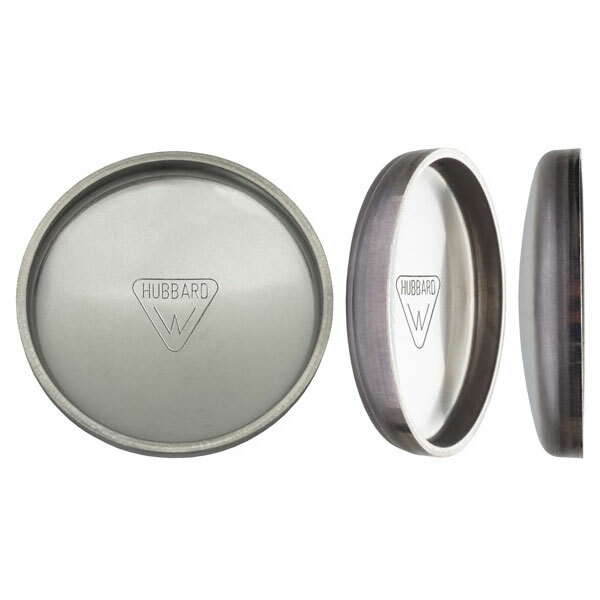 Both steel and stainless steel plugs are tumbled for a clean, burr free finish. Retention and sealing is a result of a the mechanical interference fit between the plug and the bore. Anaerobic sealant is often applied to the bore before plug installation to seal surface imperfections. Plugs should be driven from the inside of the bottom of the plug, not from the rim of the cup. If a sealant is not used, it can be useful to lubricate the plug and hole before insertion – this minimizes scoring and reduces resulting leaks. Plugs should be driven squarely into the hole. A bottoming shoulder on the installation tool will control the depth of insertion and plug alignment. The radius on the end of the installation tool should not interfere with the radius on the inside bottom of the cup – it should be large enough to provide adequate clearance. A clearance chamfer works as well. Cup plugs should not be driven against a counter bore – this can damage the plug and cause leaks. The bore in the casting should have a finish of 100 micro inches or smoother. The bore should be round within .002” TIR or better. 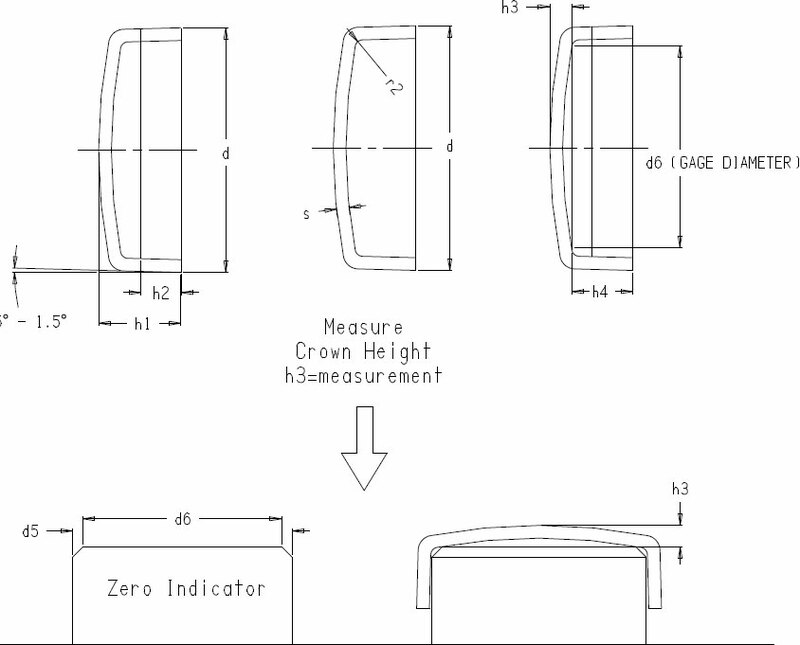 Diameter measurements are taken 0.5mm from the bottom, or edge of the cup as shown in the drawing below. The diameter is the average of four equally spaced measurements taken from the perimeter of the cup plug. The diameter measurement is taken before plating. Roundness is the difference between the maximum and minimum diameter measurement. The roundness measurement should not be greater than 0.08mm for carbon steel and 304 stainless steel. The roundness measurement should not be greater than 0.1mm for 400 series stainless steel. 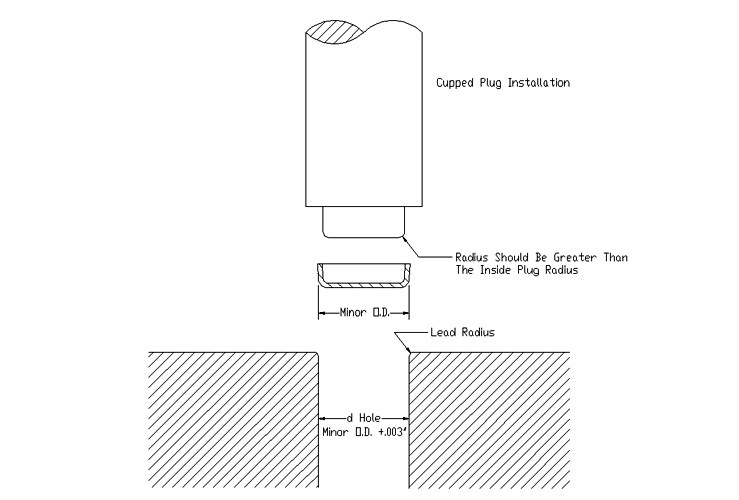 The thickness measurement is ALWAYS taken from the domed portion of the plug, as is shown in the drawing above. Is calculated based on diameters “d” and “d2”. Diameter “d2” is taken at a location equal to or greater than “h2”. The distance between measurement “d” and “d2” is “h'”. Is equal to the material thickness +/-0.5mm – although this will vary some with plug sizes, metal thicknesses, etc. 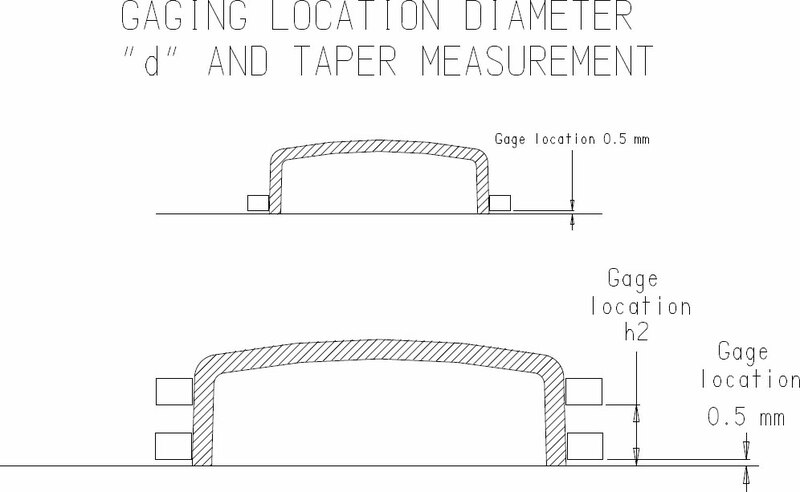 This gage, or zero indicator, is intended to match the installation tool in OD and points of contact on the inside of the cup plug. The Hubbard “Spring Lock” series of metric core / cup plugs are largely equivalent to DIN 443 plugs. The critical, or defining characteristic of both the Hubbard and DIN 443 plug is that the nominal plug diameter is actually the nominal hole size – both plugs are tapered for a pre-engineered press, or interference fit. So a 25mm Hubbard plug and a 25mm DIN443 plug will perform the same function. 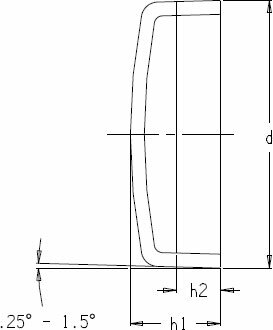 However, our plugs rarely match all DIN 443 variables perfectly – there are often small variations on bottom radius, height, corner radius, and material thickness. Below is a list of DIN443 plugs as defined by the standard, with the last column listing our functional equivalent.